A Political Science class that is also an opportunity to pass legislation in California. Our department is bursting with stories about award-winning faculty and student leaders involved in important work. The Resiliency Project seeks to learn how people experience setbacks, opposition, and oppression while retaining mental and physical well-being. Learn how the Political Science Department's Master in Public Policy program can broaden your mind and develop your career. Students in POLS 285 participating in the Model UN! POLS Faculty continue to be active in shaping the public dialogue in the field. Mock Trial is the epitome of Learn by Doing. Find out more about this unmatched experience! 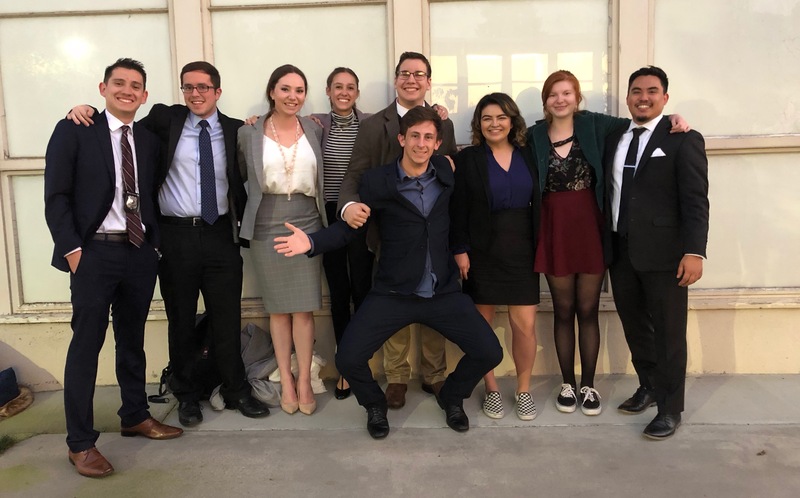 The goal is to create a political science journal to showcase student work, connect alumni with current students, create opportunities for students to enter the professional world! In our undergraduate and graduate programs, students study government, politics, and policy, develop and refine their communication and analytical skills, and become informed, active citizens in a diverse global context. We boast university and college award winners in teaching, research, and community service. Students will learn from an outstanding faculty who employ a variety of teaching methods, instructional approaches, and interdisciplinary orientations. Our department's 2017-18 award-winners presented by The College of Liberal Arts.